It’s fun to go visit wine regions – especially in the new world. The new world likes to teach and show, there’s no assumptions here. New world doesn’t mind breaking a few rules, especially since they’ve learned what works from the old world in these new world regions. But one of the major things I recently learned, and had never equated, that wine country in your backyard is local – and locally grown should be celebrated. And although many of the wineries in Ontario’s Niagara region have been happily making wine, drawing fans and winning awards, there isn’t the same obsession with the majority of the populace to drink local. Why not? Aren’t those running vineyards no different from those raising cattle or those growing vegetables? 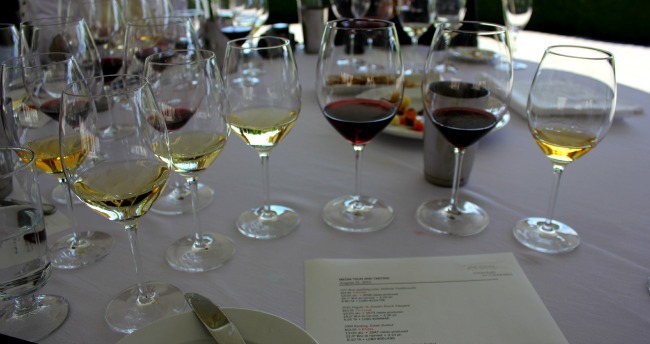 With over 50 wineries making vintages each year, shouldn’t there be something that would suit your tastebuds? Yes, there’s a certain flair, skill, education and joie de vivre in making wine – and when you go to taste, there will be some things you like and some you don’t. But don’t bring all those rules, just let your palate guide you. Living in Canada we can access wines from around the world (yet not from British Columbia for us in Ontario, but that’s another story) yet we tend to still ignore what’s grown a few hours from us. So dear friends, when you proudly serve locally-grown produce and locally-raised meats, pair it up with some locally-made wine – trust me, it will be a good thing.